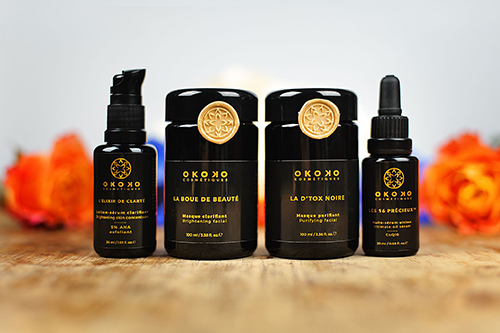 We’re seeing some very beautiful product range launches from Formula Botanica graduates at the moment – so we’re very excited to be able to tell you about Okoko Cosmetiques in Canada. 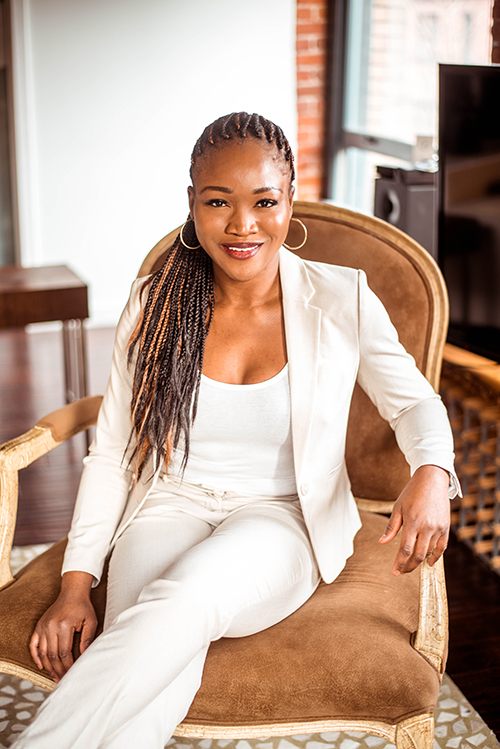 Today on the blog we speak to Oyéta Kokoroko, Founder of Okoko Cosmetiques and Formula Botanica graduate. Oyéta has worked very hard to launch her beautiful brand and is seeing positive reviews for her products since launching in February 2016. Welcome to Oyéta! Hi Oyéta, can you please introduce yourself? My name is Oyéta Kokoroko. I was born in Togo (a small country located in West Africa) but grew up in Montréal, Quebec. I was raised by my grandparents in Togo until I was 5 and then travelled to Canada alone to be reunited with my parents and my brother. As a child I was naturally curious, athletic and a total “nerd”. I had problem skin as a teenager and as a young adult. This was due partially to my nutrition and diet. Eventually, it got worse and I started suffering from joint pain. By the time I was 19 the pain was sufficient that I decided to seek help. I was not comfortable with the idea of taking typical western medicine to treat symptoms (and not to effect a cure!) at such a young age, so I kept searching for solutions. Eventually, I considered naturopathic medicine and learned that my diet was affecting my health and was the root cause of the symptoms I was experiencing. So, tired and desperate to stop my joint pain, I adjusted my diet and noticed immediate improvements. My skin improved, and my joint pain ultimately disappeared. I was shocked, intrigued and hooked. 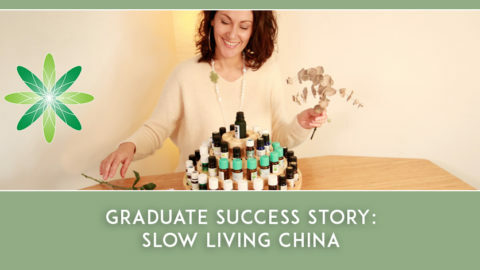 I enrolled into a naturopathic medicine program for my own interest and got to learn about holistic nutrition, herbal medicine, aromatherapy etc… the more I learned, the more curious I became. I started reading food labels, skincare labels and researching ingredients. This led me to become more serious about what I put into my body and on my skin. I was also looking for solutions to my acne, blemishes, dark spots (and dull skin on top of that). 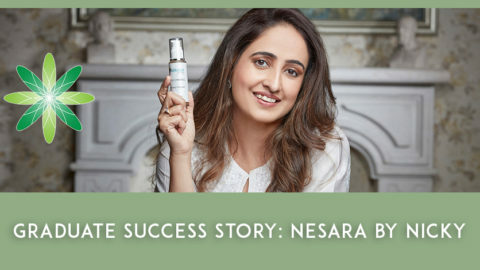 Improving my diet and embracing a more balanced nutrition became important foundations of a healthy lifestyle; finding natural solutions for my skin became a passion! Initially, I was self-taught (one of my favorite things was making soaps!) but ultimately I decided that I wanted to become a professional skincare formulator. 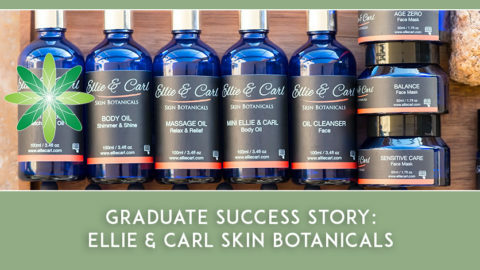 I took courses on skincare formulation in Montreal and then found Formula Botanica. I was thrilled! and the rest, as they say, is history. I am based in Montréal and Vancouver, Canada because I divide my time between these two beautiful cities. I was in Vancouver in November 2014 when I decided I wanted to make a difference with a skincare brand. My dream is to found a skincare brand that not only provides beautiful, natural, effective products but that also brings positive change in our community and our environment by taking conscious, caring and empowering actions for the good of all. 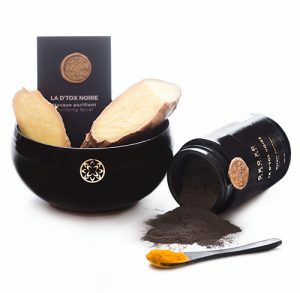 Okoko Cosmétiques was born and ultimately launched in February 2016. Okoko specializes in luxury facial treatments designed to reveal a skin’s natural radiance. The initial launch of Okoko was based on 4 fundamental products for reviving your complexion: two masks, a toner and a serum designed for normal, dry and mature skin. This will be followed by products specifically designed for combination to oily skin types (and we have much more to come!). Ultimately we will provide a series of high-end collections designed for specific purposes: brightening, purifying, anti-aging and men’s skincare. 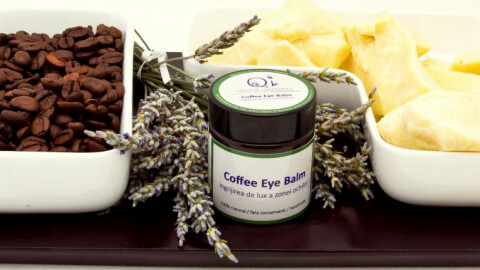 We use high quality, natural (organic whenever possible), renewable, fair trade ingredients. Each product is made by hand in small batches in our studio, and I personally attend to every detail of the process. My hope is that my products will be enjoyed in those rare, peaceful moments that can be so hard to find in today’s busy world. And maybe even to provide the motivation to help you find some time that is just for you to relax, regroup, refresh and rejuvenate. Ultimately, we all like to pamper ourselves. Where did the name Okoko Cosmetiques come from and where did you get the inspiration from for your brand? Okoko comes from my first initial, Oyéta, and the first four letters of my last name, Kokoroko. My name has its roots in West Africa where each name has a story and a meaning. 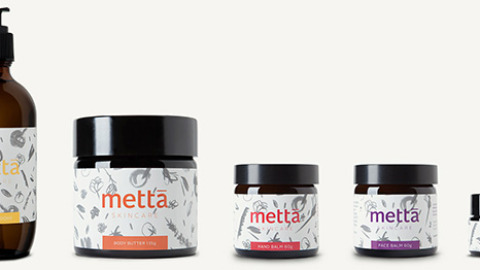 In our language, Oyéta means “the last of the bloodline” which refers to rare, unique, scarce… Kokoroko means “Strength” specifically a state where you feel strong and healthy (both in mind and body) and refers to the holistic blend of physical, mental, and spiritual well-being that is the result of consciously choosing to live a quality life. 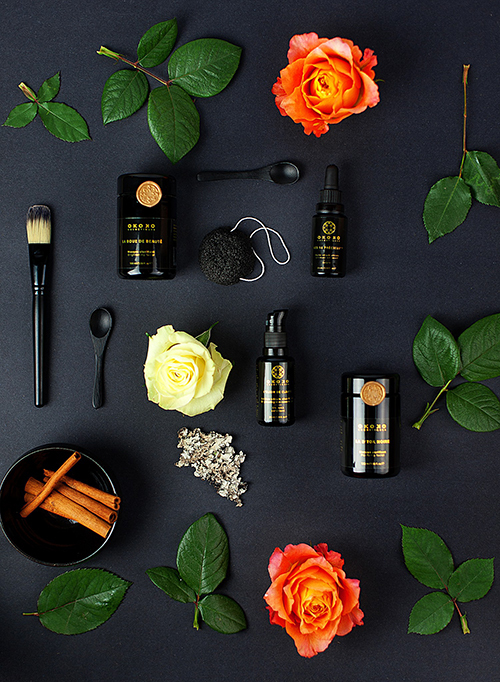 In combination, these themes supply my inspiration and I feel they embody what Okoko is about: empowering our clients to achieve wellness, health and beautiful skin. What type of skincare products do you sell at Okoko and which one is your favourite? 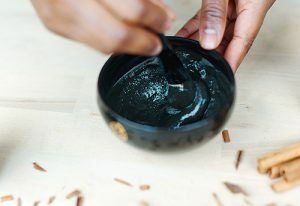 Okoko makes finely crafted spa-quality masks, serums and toners. It’s hard to pick a favorite for the simple reason that I use them all, they are part of my daily beauty routine. But if I had to pick one, it would be “Les 16 Précieux” (The Precious 16). I guess I’m a lover of quality, exceptional products that are finely crafted and hard to find. Les 16 Précieux is exactly that, a super-charged combination of 25 high performance ingredients formulated to hydrate and revive the skin. We chose the name Les 16 Précieux because it is formulated with 16 of the finest, most precious and rare oils and extracts found in the world. It’s also infused with vitamins A, C, E and Coenzyme Q10 to make your skin look younger and more radiant. It not only hydrates, but provides an amazing glow as it fades scars, age spots and blemishes. It’s truly a luxurious treat for your skin. 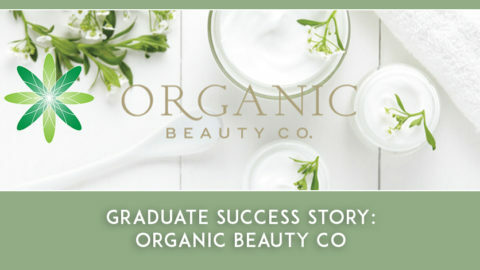 I took the complete International Organic Skincare Entrepreneur Program. I am currently working on the Certificate in Cosmetic Stability Testing because, now that the facial line is launched, I want to understand the process of testing products and how to work with laboratories. 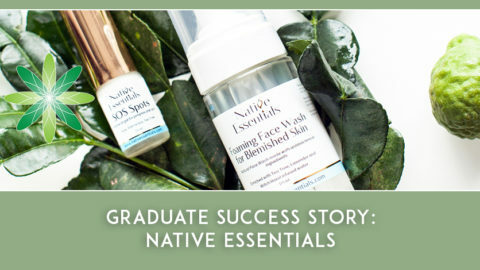 Even though I already knew how to formulate skincare from previous courses, Formula Botanica helped me push that knowledge to the professional level and to start my career in the cosmetics industry. Some of the things I learned that I find useful in my business are: skin science, formulating high performance cosmetics, good manufacturing practice, preservation, laboratory equipment, legal requirements, private formulation services and much more. 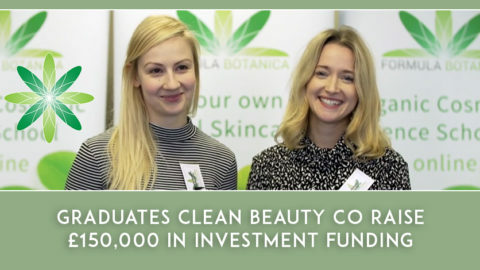 Credits to the Formula Botanica team for their amazing professionalism, exceptional work and mentorship. They also created an active Facebook classroom where we support one another and share ideas and feedback. Being in contact with professional likeminded people makes a huge difference. Thank you. I enjoy all aspects of the creative process from researching, to formulating a product, to figuring out the branding, logo, launch strategy and blog. I also enjoy the fact that I get to look after people, I’ve always enjoyed looking after the people that are closest to me. This is a way for me to make a difference on a larger scale, uplift people’s lives and, ultimately, I think it’s an opportunity to make a difference on a larger scale. Not giving up. There were so many hurdles and challenges to be overcome that, at times, it was difficult to keep going. But I am so happy that I did! I also found it difficult to stay focused on my main products to completion. I have so many ideas that I’m working on and eventually would like to launch. Finally, learning to accept the fact that, no matter how much effort and preparation goes into my products and my business, a good portion of my learning will still come from mistakes (lol!). I don’t know if I have enough experience to answer that but here’s what I would say right now: It’s important to have a vision and to make sure you know what’s important to you, what drives you, what you need to accomplish. And work on that until it resonates and that vision is solid in your mind because it will sustain you. You will need it to sustain you, because there will be challenges, there will be hurdles and there will be unexpected setbacks. If you’re founded in your convictions, it will help you to find the strength to keep going. Finally, I want to say: don’t give up and have fun with it: “A journey of a thousands miles begins with a single step”.